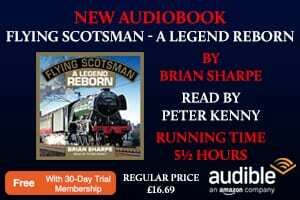 Craig Amess tells the story of the never-say-die Epping to Ongar line that’s been transformed into a thriving heritage railway whose scenic locations, locomotives, rolling stock and buildings present some intriguing modelling opportunities for steam and diesel enthusiasts alike. The story of the Epping Ongar Railway in south-west Essex started in the 1860s, but after being closed in 1994, the line was opened and closed once again before its final resurrection into the successful heritage line it has now become. Encapsulating the family appeal of the Epping Ongar Railway, a youngster looks down from the North Weald station footbridge at the simmering Metropolitan 0-4-4T No 1. Today’s rolling stock includes diesel and steam locomotives, and visitors can appreciate the wildlife of Epping Forest and the wonderful countryside around as they travel along the line. The heritage experience can begin before they even reach the railway, because it also operates a small fleet of heritage buses that run right to the entrance of Epping’s Underground station. In 1865 the Great Eastern Railway extended the Stratford to Loughton line to Ongar along a single track, but although in the 1890s the line was doubled between Loughton and Epping, the Epping to Ongar section remained single-track with a passing loop at North Weald. Around 50 trains a day operated between London and Loughton, 14 of them going on to Ongar but the rest terminating at Loughton or Epping. After the establishment of the London Passenger Transport Board (later London Transport) in 1933, a joint works programme was implemented that planned to see lines electrified and the companies working together to reduce costs, but although the government was involved, it didn’t support electrification at that point. Flower baskets adorn the platform at Ongar station, whose main station building has been restored in original Great Eastern Railway colours, and whose parcels office is now the Buffet Stop Cafe. 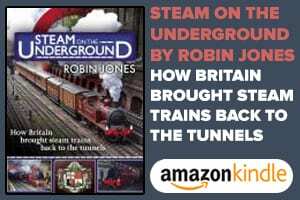 The line then came under the ownership of the London Transport Executive, which inherited the trains, track and everything else that had been served by LT. Questions arose about the services between Loughton and Ongar that were still operated by steam locomotives.